Our perfectly packaged weekend is back by popular demand! Best room type available bookable on a first come first served basis. To book please call our Reservations Team on 01271 890212. *Sunday lunch includes main course only. 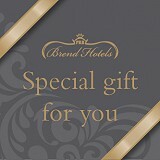 Offer does not include deluxe sea facing bedrooms, living suites or apartments. Not applicable to exisiting bookings. Opened the 1st September and being inspired by our natural playground of Saunton Sands, Source Spa and Wellness is a new benchmark in soulful and physical wellbeing. You’ll have full access to our new thermal suite and state of the art gym. If you have a question or would like further information please fill in the enquiry form below and a member of our team will be in touch soon.